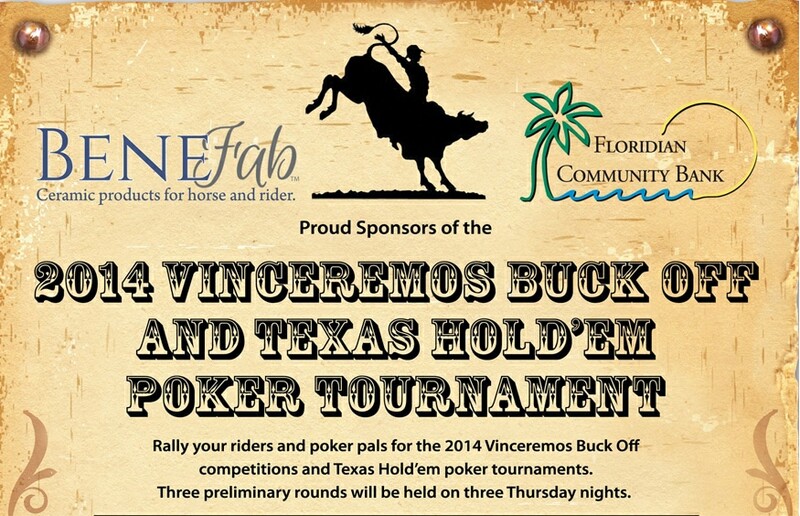 Please Join the Wellington Chamber of Commerce Members & Eques Solutions for a very special After Hours Networking Event leading in to the 2014 Vinceremos Buck Off and Texas Hold’ Em. This exciting event will take place on January 16th from 5:30-7:30 PM in a private room with cocktails and hors d’ oeurvres at the White Horse Fashion Cuisine restaurant in Wellington. *** VENDOR OPPORTUNITIES are available for this event. Vendor space is $75. Limited to 10 members. Exclusive exhibitors at the Buck Off event. Vendors must bring their own table, chair(s) and display. All proceeds from this event will go to Vinceremos Therapeutic Riding Center. Please contact the Wellington Chamber directly for more information. Reserve your place by filling out the form below!